showing work made during a recent stay at the artist residency Can Serrat in Catalonia, Spain. The Can Serrat art center is situated next to the mountain of Montserrat, a place regarded as holy and the spiritual center of one of Catalonia´s patron saints, la Moreneta – the Virgin of Montserrat. The legend has it that a wooden statue of the virgin mother and baby Jesus was found in a cave in the mountain, after strange lights and angelic music was observed by sheperds at night. Some say the statue was carved by St Luke in Jerusalem and brought to Montserrat by St Peter to be hidden from the Moors. Today astronomers acount the «strange lights in the sky» to a showing of the Perseides shooting stars that was particularly strong during the recorded time of the find. While others speculate that the original statue, that was replaced in the 13th century by the one seen today, actually was a depiction of one of the other «earth goddesses», probably Isis, or maybe Venus, Demeter or a local pagan version. Discovered by the christian clergy it would have been explained as a Madonna and Jesus, and then replaced with a more «accurate» version at a later time. Inspired by the location, Stig Marlon Weston has explored the mountain and the lights that can be seen there today. 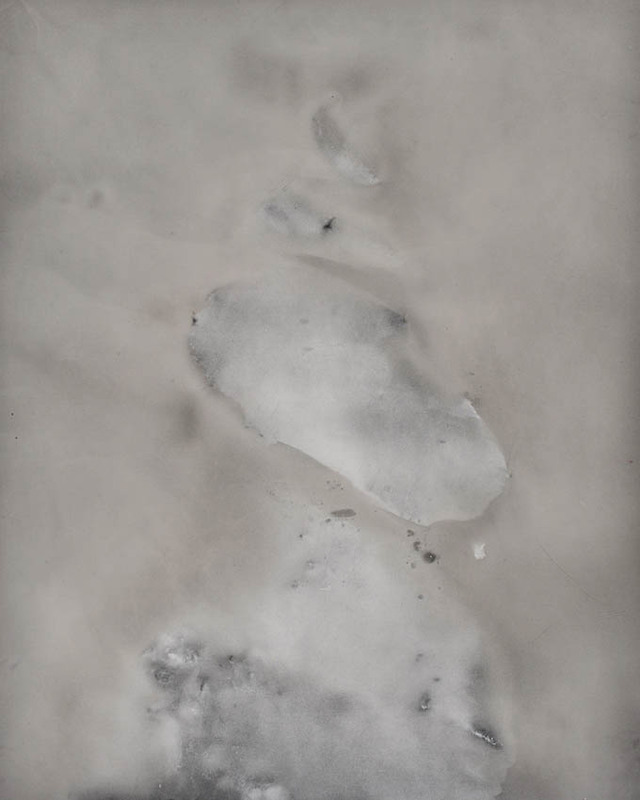 Taking the idea of strange lights in the sky as a starting point he has collected imprints of rocks and the natural light in the landscape on photosensitive material. These cameraless photographs shows how a mountain can make it´s own portrait, telling a story that let´s us interpret the history of the place from a new vantage point. 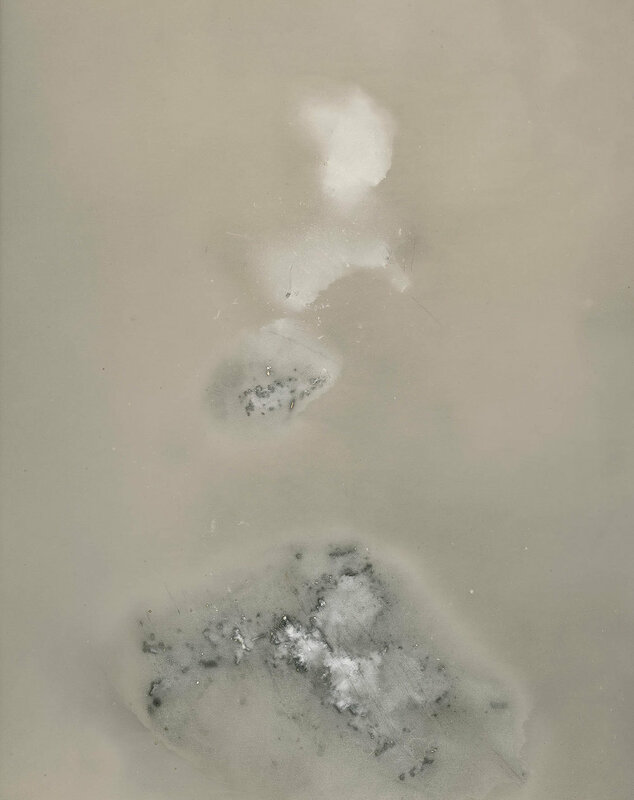 «Tears of St Lawrence» is a collection of chemical photographs of rocks taken from the top of the mountain. The title refers to the old popular name for the Perseides meteor shower, and the images shows how the rocks might have looked as meteorites when seen as lights in the sky. «Cent cims» is a series of heliograms made on the mountain, showing the light of the sun on the rocky peaks. Montserrat is also called La muntanya dels cent cims in catalan, which translates as the mountain of a hundred peaks. Can Serrat, approximately 1187 square meters, is a classic old Spanish farmhouse. In 1989, eleven Norwegian artists* bought the house and renovations began. It was privately run and operated as a center of creative and artistic production thanks to this community of artist. Can Serrat is located in the unsurpassable environment of El Bruc, a small village that skirts the mountain of Montserrat, and is just forty-five kilometers from Barcelona. The house provides various spaces and workshops for working in an awe-inspiring surrounding natural environment. A pleasant walk along paths and trails leads one from the house to the foot of the mountain, where one can enjoy a spectacular view of Les Agülles, or The Needles, of Monserrat! from observing and workshopping their work during the artistic process, to helping to acquire daily or project-related supplies, creating connections between people, both locally and internationally, to overseeing daily life by providing accommodation and food. Can Serrat actively participates in Catalan cultural life, presenting and developing various activities in order to create an awareness of Catalan artistic sensibilities both within and outside of the walls of the residency center through the presentation of projects, language exchanges, public literary readings, field trips to schools and art centers, performances, and concerts. After so many years and layers of stories, Can Serrat continues to be an international community of artists that share, mix, coexist, and create within a common space. These artists and writers determine their projects and here find the time and the will to creatively wander and discover within their process and work.